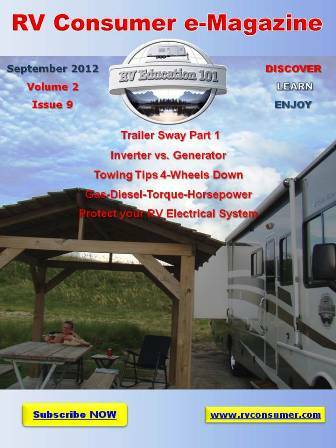 We just released the April issue of RV Consumer E-Magazine. This month’s theme is “It’s time to go camping.″ In this issue I cover some last minute preparations so your first RV camping trip of the season goes off without a hitch. This issue also includes aftermarket RV products, an interview with RV lifestyle expert Jaimie Hall Bruzenak, RV packing tips, how to save money on camping and much more. All of this great RV information is just a click away. If you haven’t heard of our new RV magazine it is a digital magazine in a flip-book style format, delivered online by subscription. It is free of charge and your e-mail address will never be sold or used for anything other than delivering our RV e-newsletter and RV Consumer e-Magazine. For up to the minute RV news and information take a minute to subscribe and start receiving this information packed e-publication right now. 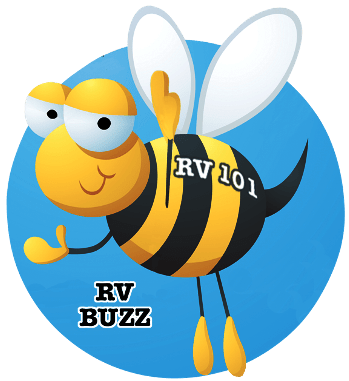 RV Consumer e-Magazine is loaded with useful RV information on RV products, RV how-to topics, RV reviews, RV destinations, RV videos and other general RV information. Our goal is to be your premier provider for RV information and assistance through various RV educational outlets.